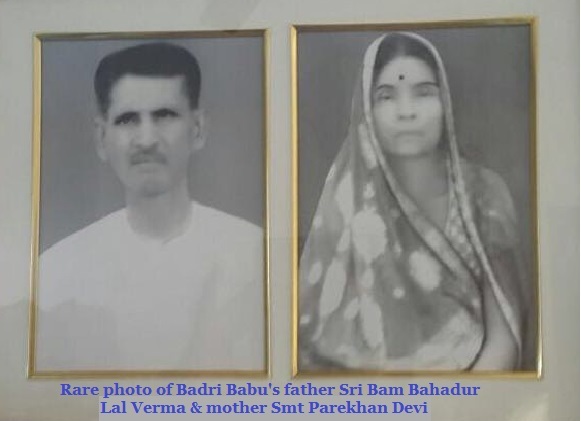 Badri Narain Sinha (4 April 1930 – 7 November 1979), was born at village Saramohanpur in Darbhanga district of Bihar State, India. 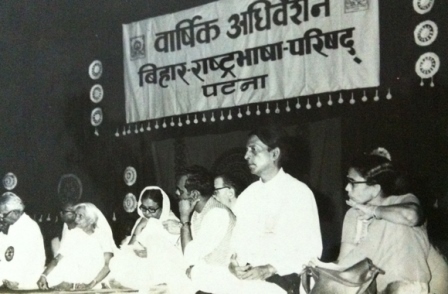 He rose from a purely rural background in Bihar on the sheer strength of his merit to qualify in the prestigious Civil Services examination conducted by the UPSC and become an officer of the Indian Police Service of 1952 batch of Bihar cadre. He died in harness as Deputy Inspector General (CID), Government of Bihar. Sinha, described as an ‘erudite and knowledgeable police chief’ by noted sociologist-journalist, Arvind N Das, was a poet, thinker, littérateur, critic and a close associate of the political stalwart Jayprakash Narayan. 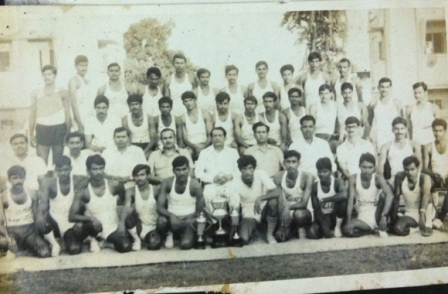 Sinha, an M A in English Literature from Patna University (1949), first became an English Lecturer at C M College, Darbhanga, then at Ranchi College, Ranchi, before joining Indian Police Service in 1952. 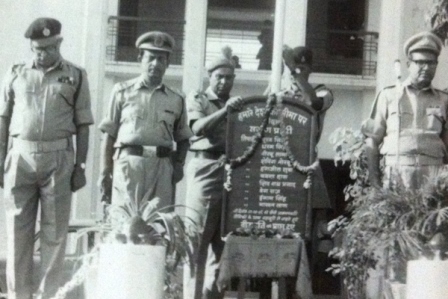 Sinha served as Superintendent of Police, Champaran (1958–63) and Bhagalpur (1965-68),Superintendent of Railway Police, Muzaffarpur (1968–70) and Senior Superintendent of Police, Ranchi (1970–71), Deputy Inspector General of Police and Member Secretary, Bihar Police Manual Revision Committee in June,1971, Deputy Inspector - General of Police, Central Range, Patna (1974–77) and later D.I.G. of Police, Criminal Investigation Department till his death in harness on 7 November 1979. 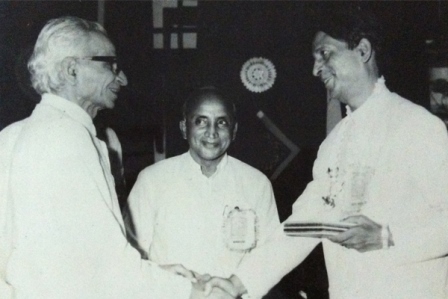 Sinha was awarded the Indian Police Medal in 1971 for his meritorious and distinguished services and was decorated with the President's Police Medal in August, 1979. 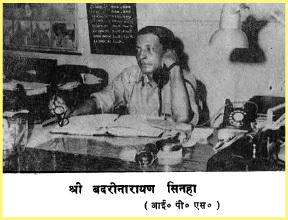 Sinha was Founder-Editor of BIHAR POLICE PATRIKA, the official organ of the Bihar Police, a mantle which he carried till his premature end. Sinha was an acclaimed literary critic and reputed writer in the field of Hindi Literature. He authored 'PRATHMIKI', a landmark work in Hindi literary criticism in 1965 and followed it up with 'AAJ TAK KI', its companion volume. Published 'TATKA ADAM', a book of modern Hindi Poetry; wrote twin books with the life of Mahatma Gandhi as subject- 'AB BAHU SAY SAB JAN HITAYA' in Hindi and 'MAN THOU CAN' in English; authored 'STUDENTS' REVOLT', a concise book on the causes and nature of students' unrest – a must-read for police officers dealing with students’ disturbances for its both theoretical and practical insight. His book, 'AAPRADHIKI', a first of its kind book in Hindi on Crimonology or yhe scientific study of crimes, was awarded Best Book of the Year 1971 by the Government of Uttar Pradesh. As DIG (Naxalite Operations), Sinha showed rare intellectual integrity and courage by writing three articles in Bihar's leading English daily 'The Searchlight' recognising the Naxalite movement as a socio-economic and political issue and not just as a mere policing task. 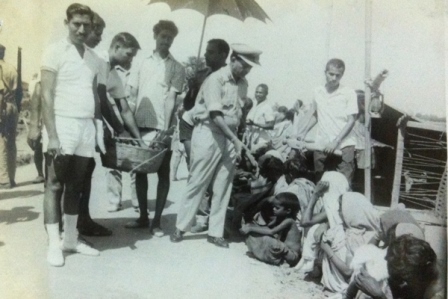 In these pioneering articles, Sinha strategised that “putting in zealous and dedicated social reformers drawn from all shades to bring about transformation on the socio-cultural planes’ is as much a part of ‘the counter-insurgency measures’ as ‘concentrated police operations or operations by the special task forces, may be from the supreme armed formation, the army itself.” This has been seen as a major critical interpretation of the socio-political movements like 'Bhoodan' in India started by the renowned Gandhian leader Acharya Vinoba Bhave.